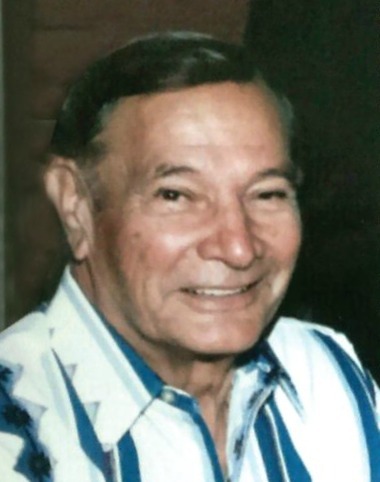 Service Location: Bunker's University Chapel, 3929 E. University Dr.
Charles Eugene Urrea, 85, passed away peacefully at his home in Mesa, Arizona, on November 17, 2014. He was surrounded by his loving family during his last days. Services will be at the Bunker’s University Chapel at 1:00 PM on Saturday November 22, 2014 at 3529 E University Dr, Mesa Arizona 85213. Charles enjoyed traveling, golf, spending time in Laughlin with the love of his life, Cynthia Bojarski. Charles and Cynthia spent the last 20 years together. Charles is survived by his sisters Celia Burns, Norma Peden, Mona Westfall as well as his brother Dr. Donald Urrea. He was preceded in death by his sister Beatrice Huber and brothers Oscar Urrea and Benjamin Urrea. Charles also is survived by his three children, Michael McPherson, Charles Urrea, and Kimberly Urrea as well as their mother Mary E. Urrea. Charles was a proud Arizona native born on his father’s farm in Mesa, Arizona. He served his country proudly in the US Army during the Korean War. He returned to Arizona and graduated from Arizona State University in 1959. Charles farmed in Wenden, Arizona from 1960 through the late 1980s. In lieu of flowers, please make memorial donations to the American Cancer Society. Dear kids, what wonderful memories of your dad while all living, farming, and “playing” in Wenden. Your dad was really a kind person and so good to my Dustin after his dad was killed. I will always appreciate your family for that. We have lost another “old farmer”, heaven must be getting full. One of my fond memories, is playing golf with your dad, and even though he kind of fudged on his score card, he was truly a great person to be with. I will always hold him in my heart for being the good person he was. Fond memories of Mr. Chuck from all the way back when I was a teenager. It’s comforting to know his family was with him when he embarked on his next journey and I wish you all well. To Mr. Urrea’s family, I’m very sorry for your loss. It’s my hope that you can draw comfort and strength from Jehovah God’s promises in the Bible. Revelation 21: 3, 4 and John 5: 28, 29 show that there will soon be a time when there will be no more sickness or death, and we can see our loved ones we’ve lost in death again. Please accept my deepest condolences.